By carrying out its Moon programme in the full glare of world publicity, NASA had been bound to do its best to ensure the safety of the crew. This was not to be the world of the test pilot from which most of the astronauts had come - a world where a great many gifted pilots died in obscurity at remote bases, wringing out the problems from capricious new aircraft for the military. 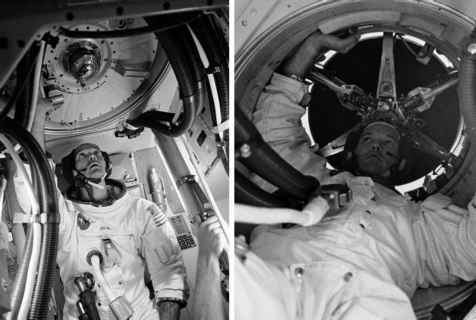 The prestige of the Apollo programme, NASA and, indeed, of the United States, could not afford the public loss of a crew whose persona had been built up in the media during the weeks leading up to the launch. NASA's leaders decided that, as far as could be envisioned, there should be no part of the flight where a single failure was not survivable. This policy was aggressively pursued during the incredibly dynamic ascent from Earth. During the ascent to space, prodigious amounts of carefully directed energy were expended from an assemblage of tanks filled with volatile fuel, pushing through the atmosphere at increasingly high speeds. There were so many things that could go wrong; and in the lower levels of the atmosphere, things could go wrong very quickly. Of particular concern was the possibility that engines might fail, especially during the first few moments of flight when the Saturn needed all five F-1s working to get off the ground. For years, the mission planning team analysed and argued over the details of the ascent, eventually breaking it down into sections. For each section, they defined an 'abort mode' or appropriate get-out-of-there-quick plan that would whisk the crew away from an errant rocket to safety, either to continue the flight into orbit if possible, or to splashdown in the sea if not. To assist in these rescue scenarios, the tip of the command module sprouted the launch escape system (LES) with its powerful rocket, the LET, to pull the crew clear of the Saturn V.